CHARLOTTE, N.C., Jan. 26, 2016 – Fashion designers who have a deep connection to the South and want to showcase Modern. Southern. Style. 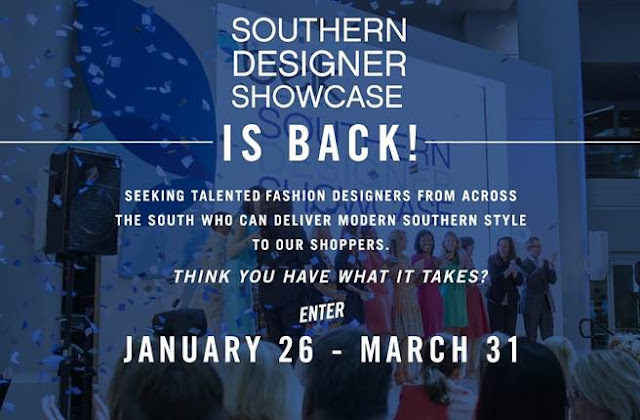 can have their clothes and accessories sold at Belk and on belk.com in spring 2017 if they’re selected as winners in Belk’s fourth annual Southern Designer Showcase. Charlotte-based Belk is seeking Southern designers of women’s apparel, men’s apparel, kid’s apparel, shoes and women’s accessories to add to its existing collection of brands. “We are excited to see what this year’s Southern Designer Showcase applicants have to offer and are looking forward to building relationships with our 2016 winners,” said David Zant, Belk’s president and chief merchandising officer.